Ben Hartman, the man behind Good Eggs’ absurdly fresh fruits and vegetables, manages all the relationships with our produce farms and vendors. 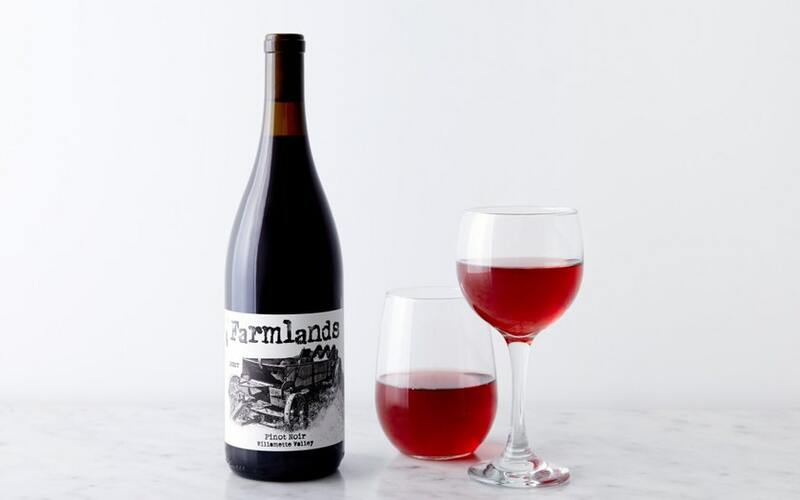 Jared Shoupe, our Specialty Foods Buyer, runs our Bottle Shop — he comes from a family of winemakers and knows his vino. These two like to joke around and have a good time, so we got them together to recommend date (the fruit, not the romantic get-together) and wine pairings, just in time for Valentine’s Day. They both brought their favorites to the table, tasted, sipped, compared notes, and identified some pairings to help you freshen up your next date night — pun totally intended. BEN: OK, I have all the dates laid out on the table and listed here in my notebook: Dayri, Zahidi, Deglet Noor, Barhi (which is the best one), Medjool, (which is the most common and super delicious), and Amber — these guys are super chewy. JARED: Where do we get these? BEN: All six of these date varieties are from Flying Disc Ranch in the Coachella Valley. They’ve been growing dates since the 1970s and practice permaculture and biodynamic farming. They produce some of the best dates in North America! JARED: You’re making me hungry. Time to start tasting! Which one’s the least sweet? Let’s start there. BEN: The least sweet? The Zahidi is one of the less sweet ones. But they’re nice and buttery and chewy. Try one! JARED: It still has a bit of a sugary quality to it. BEN: Yeah — all dates are at least a little sweet. JARED: I’d suggest a sparkling wine for this one. 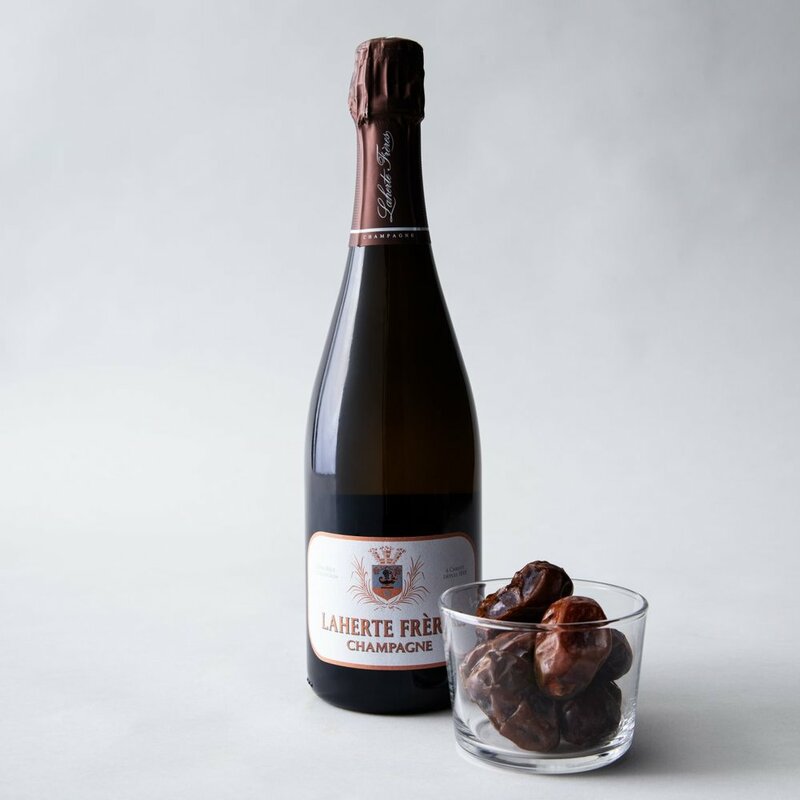 The carbonation will cut through that almost creme brulée-like flavor that’s going on with the date, which isn’t so sweet that you want something too dry, so a prosecco would work well here. JARED: This Dag-let… Ben, I can’t read this. BEN: Deglet Noor — sorry, my handwriting is terrible! But these dates are delicious. They have a great nutty and brown sugar flavor. JARED: You know what? I think I’d pair this one with cheese to put it with wine. JARED: Adding salty and savory components to that brown sugar flavor will balance really well with red wine. BEN: That makes sense — the Deglet Noor isn’t as sweet, especially after you taste some of the others, so it won’t overpower the cheese. JARED: Exactly. I’d put it with goat cheese or something salty and tangy then pair it with a silky red, like a pinot noir or cabernet franc — either one would work really well. BEN: The Medjools are like pure sugar. JARED: Wow, they are sweet! BEN: Not a huge amount of subtlety to those. They’re rich and meaty, too. They’ve got a bite to them and they’re a bit juicier than other dates. JARED: This is the one I would pair with champagne. Something dry, crisp, sparkling, and aggressive to cut through all that sugar. BEN: The Dayri has a really complex, nutty, earthy quality to it — and it’s a little less sweet than the Medjools. JARED: You’re right. These can handle a more luscious wine. JARED: They’d go really well with a red dessert wine. Something a little richer and sweeter to balance out the date, which is less sweet compared to the others. BEN: Do you have a favorite date yet? BEN: I like those a lot, too — they’re really caramel-y. They start to dry on the vine and become translucent, and at that stage they’re even juicier. Compared to the Zahidi or Deglet Noor, there’s so much more moisture in them. JARED: I’d pair the Barhi with a fruitier rosé that has just enough acid to balance all the sweetness. JARED: And what’s this one again? BEN: Amber — it’s nice and chewy and has a hint of cinnamon. JARED: It has a little more brightness, too. I think it would work well with the citrusy component that’s going on with this mead I have here. BEN: That’s made with honey, right? JARED: Yeah, there are oranges in there! BEN: So what do you think is the most romantic pairing? JARED: That’s easy: Medjools and Champagne. JARED: Because it’s Champagne! And the Medjools, they’re so sweet and intensely flavored, it’s such a classic pairing — especially for Valentine’s Day or date night. 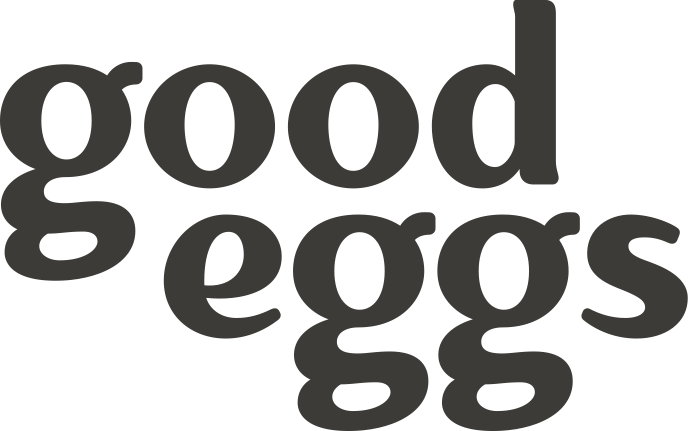 Content Marketing Manager at Good Eggs. Lover of pizzas, pies, and parenthetical asides.